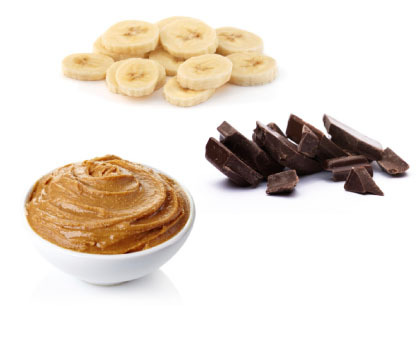 This makes a satisfying breakfast treat packed with healthy fats and antioxidants. 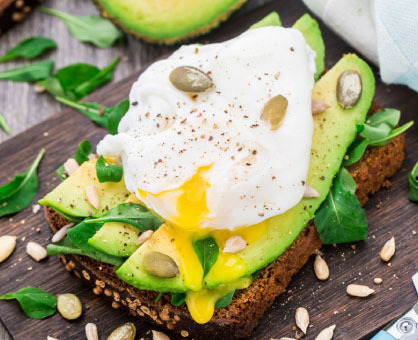 This combo features three key nutrients to start your day: fiber, antioxidants and protein. Put them in a smoothie or atop a slice of whole-grain bread. 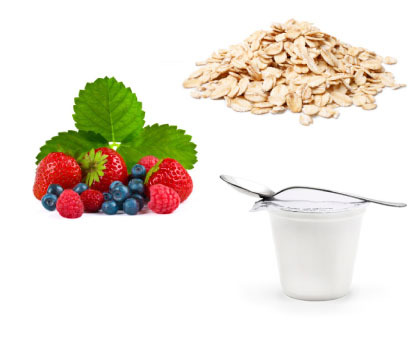 Combine digestion-friendly oats and nutrient-rich berries in fat-free yogurt containing calcium and protein for the ultimate power breakfast. 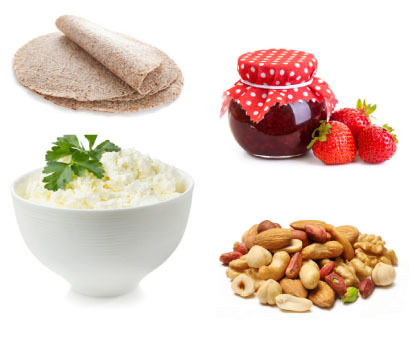 In a whole-wheat wrap, place vitamin-rich fruit-only preserves, low-fat cottage cheese and protein-packed nuts. These can be assembled the night before frenzied mornings. 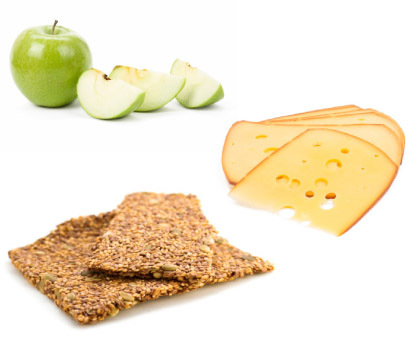 Apples are sweet, filling and nutritious and pair perfectly with a low-fat cheese atop flaxseed crackers filled with omega-3 fatty acids.